I couldn't sleep lastnight. This was in my head and I just had to make it. 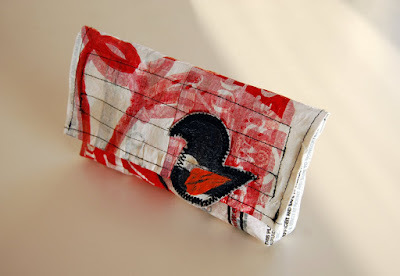 A plastic flap pouch with a little, cute plastic chick on the front. Very cute! I bet my sister would love that design!